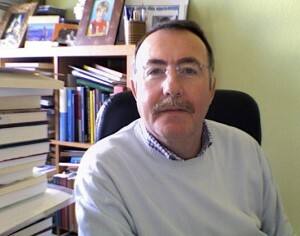 In the spotlight this newsletter is EC member Javier Vidal Olivares. Javier has an impressive pedigree, having worked internationally, including university posts in Italy, London, Argentina and Colombia; he is now Professor of Economic and Business History at Universidad de Alicante, Spain.He has published multiple books and articles on railway and aviation history, and as well as having been a member of T2M since 2003, Javier has served as General Secretary of the International Railway History Association, edits TST. Transportes, Servicios y Telecomunicaciones. Revista de Historia, (www.tstrevista.com) and has recently taken on the role of Associate Editor of the Journal of Transport History. How & why did you get interested in transport and mobility history? I did my doctoral thesis in 1989 on the railway and its regional impact. At the time I was interested in comparing the various predominant theoretical and methodological approaches. There were those who defended the importance of quantitative aspects, given that up until then, international research had focused mainly on the qualitative aspects. I tried to apply what I found to be the most useful aspects and methods of both approaches. In subsequent research projects I focused on competition between modes of transport, especially between road and rail. Then I switched my attention to air transport, especially in Spain, where it has developed very rapidly due to the importance of tourism over the last 50 years. I’ve just published a book about the Spanish airline Iberia. It’s basically a business history of the company, but the final chapters also focus on the spectacular increase in mobility in Europe, initially as a result of the tourism boom – the Spanish tourism industry has grown to become the second biggest in the world – and especially after the liberalization of the European air market and the emergence of the low-cost airline phenomenon. You’ve recently become one of the Associate Editors of the Journal of Transport History. What are your priorities for the JTH, and how would you like to see it develop? My priorities are the same as those of my Editorial Board colleagues and those of my publishing colleagues, Lena Anderson Skog and Drew Whitelegg. We want the JTH to have a strong impact on the publishing industry’s impact index for academic journals. JTH is a long-standing, well-established and consolidated European journal in the general field of social sciences. However, it wasn’t until T2M took a more active part in editing the journal, with the launch stage led by Gijs Mom, that it really began to have a bigger international impact. It’s true that nowadays there’s more pressure to achieve higher levels of excellence, which can only be done by applying stricter quality criteria to the material we publish and, in particular, by being more international and interdisciplinary. We’d already raised our standards by incorporating a broad network of competent referees with an interest in the central issues that our journal deals with, but from my point of view, we still needed a stronger presence in the international arena. Improving this aspect involves incorporating colleagues from other parts of the world, especially researchers from Asia, Africa and Latin America who carry out their work beyond the domain of the English language and the established academic publishing in Europe and the United States. We must make sure that JTH features the best of what the world’s leading researchers have to offer, and it shouldn’t matter that their original works are not written in English. This barrier must be overcome by normalizing relations among all the transport and mobility literature production centres. How well established is transport and mobility history in Spain? Is there a main focus of research, or do all transport modes get the same amount of attention? Transport and mobility history is well established in Spain. There are many excellent researchers in the faculties of Economics, Geography, Tourism, Business and Engineering. I myself participate as the editor of an historical journal called TST (www.tstrevista.com) which has been published since the year 2000. Perhaps there is more attention paid to the railway, as in nearly all countries, although there has been a certain increase in the amount of research devoted to other modes, particularly road and sea transport. Air transport, on the other hand, gets relatively little attention. How could T2M be more actively involved in promoting mobility history in the Spanish-speaking world? We need to persuade Latin-American researchers to join our Association, by encouraging them to attend our conferences and facilitating their integration. One way of doing this would be to organize specific sessions at our conferences and encourage their direct participation by helping them to meet the high costs involved in travelling to Europe. Proximity to the United States, where there are more than 40 million Spanish speakers, could facilitate this participation in the conferences that are held in this country. I’ve been working with Latin-American colleagues for over a decade, mainly in Argentina and Mexico, but also in Colombia, Brazil and Chile. It’s important not to forget the critical mass that more than 400 million Spanish speakers represent. At TST we have published many articles about Latin America, and we Europeans and North Americans shouldn’t ignore the research output from this large area of the world. What would you say T2M’s strengths and weaknesses are? Among its strengths I would highlight the interdiscipliniarity that exists at the heart of the Association, as well as the growing interest in expanding its horizons and becoming much more international. As for its weaknesses, I would highlight the difficulties involved in making itself more visible in academic spheres and integrating researchers from countries with lower per capita income or less developed academic systems. Our relationship with JTH could be an excellent tool for reaching more places and achieving greater prominence in the international academic sphere. This should be complemented by a good series of publications such as those that the Executive Committee will decide on at its April meeting in Paris.